Anti-aging products focus on preventing, masking or reducing different signs of skin aging. These products are often focused on hydration and cosmeceutical; meaning they contain medicinal ingredients for skin treatment. What's also great about anti-aging products is that they also work on your face internally, so you'll start to develop youthful skin from the inside out. 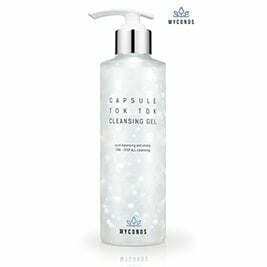 The Myconos Gel cleanser is specially formulated with concentrated mineral capsules for efficient cleaning of makeup, sebum and keratin. The manufacturer recommends that you apply to a damp face for easier cleansing. It works for all skin types and has one of the best skin care regimen without harsh acids, and gives you a stunning look. 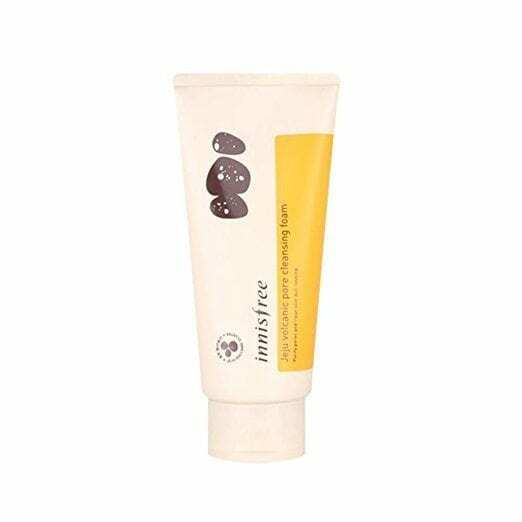 The Innisfree cleansing foam works better on enlarged pores and oily skin as the name literally implies. With that much penetration on enlarged pores, its Jeju volcanic clusters, easily removes trouble-causing skin impurities and makes your skin clearer. It comes in tubes at 150ml/5.0 oz. Oil-based cleansers have oils that mix with the impurities on the surface of your skin without clogging or blocking your pores and making you feel hot beneath your skin. Instead, the good oils in the cleansing oil help get rid of the bad oils by pushing them to the surface, and you rinse off, leaving your skin clean and well-nurtured. This brand of oil-based cleansers has been known to have an impressive level of light consistency even with the absence of mineral oil. It even removes stubborn mascara perfectly leaving you a very soft scent. However, it's burn is very harsh if it gets into the eyes, but overall, it's very efficient. In every pack, you get foams a cleansing foam which you can use to slightly wash your face after dapping it in a mixture of emulsifying oil and water. 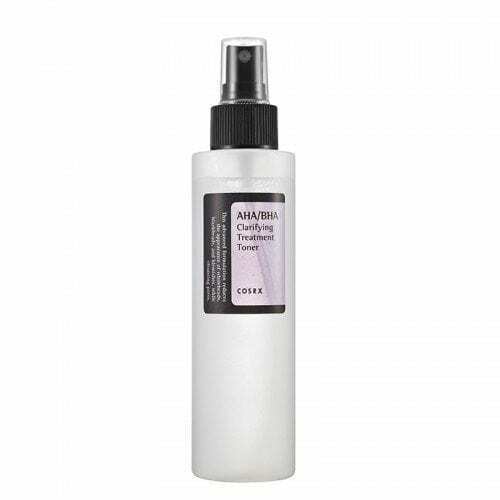 This botanical oil cleanser formula has been formulated to remove even waterproof oil-based makeup. It's also efficient in the removal of facial dirt and excess oil. Being a water-soluble product, it doesn't require much water to rinse off without leaving you a greasy feel. While it rids your skin of unwanted particles, it nourishes and moisturises your skin with antioxidants and vitamins in the form of Olive and Vitamin E, which are very significant ingredients of the product. 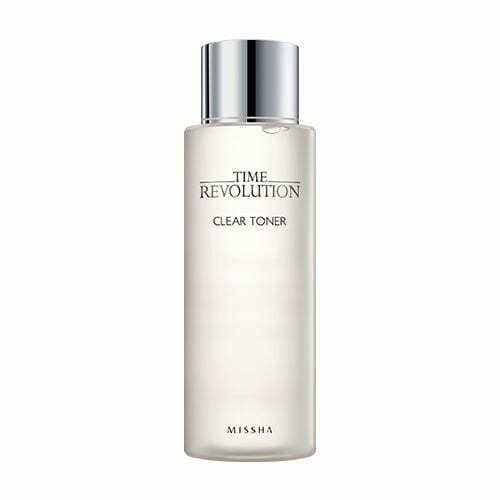 Toners help complete the skin cleansing process by getting rid of the impurities that linger on your skin after washing. Also, if you use oil-based cleansers that leave a film on your face, this astringent liquid can take care of that, reduce oiliness and improve the overall appearance of your skin. As explained earlier, it's very important to know the ingredients of a product and how your body reacts to it. For toners, there are many types with differences in ingredients including; hydrating toners, astringent toners, soothing toners and calming toners. Most of these are water-based, however, they all have specific ingredients that have different effects on your skin - literally as their name imply. You can choose whichever suits you depending on the state of your skin or your skin type. 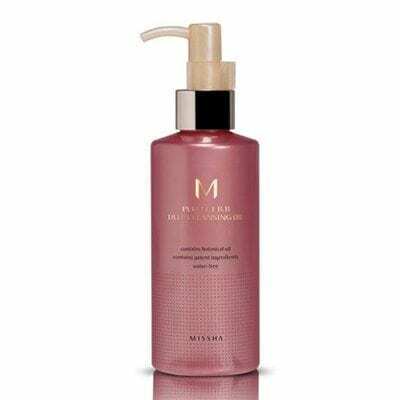 This Missha brand removes impurities and dead skin cells using Alpha-Hydroxyl-Acids, an ingredient the most dermatologists have found useful in the treatment of skin problems. It also softens the skin afterwards with the Beta Hydroxyl acid - an oil-loving acid - and then gives your skin a hydrated and bright finish with its fermented yeast extract content. If your skin has nothing against fermented yeast, then this product your serve you better than you'd imagined. This Cosrx Toner is a treatment toner, which has been reviewed to be one of the most efficient daily exfoliators. The apple water content, as well as the white willow extract, are both very important nutrients to your skin and they penetrate and fix your skin while you gently peel off the toner after use. Unlike some other brands, you get to see permanent changes on your skin after usage over a given period, depending on how dedicated you are to your skin. The manufacturer promises a newer and healthier skin with smoother and brighter complexion over continuous usage. Having talked about moisturizing effects throughout this post, you would be interested in what a moisturizer itself has to offer that other products haven't already delivered. Moisturi﻿z﻿ers are cosmetic preparations used to prevent skin dryness. The help makes the external layers of your skin softer by increasing its hydration through its ingredients. The major ingredients found in moisturisers include humectants, natural oils and lubricants among others as will be discussed in the products reviewed below. 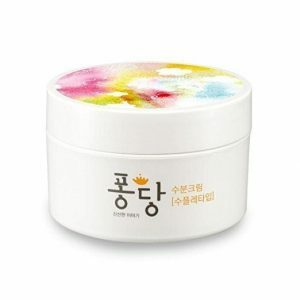 The Pongdang is semi transparent moisturizer perfect for consumers who feel dry on the skin during changes in seasons. It can give your skin moisture by working on the dead cells and increasing the absorption rate of moisture into the skin. This can be most appreciated when your skin has had a significant amount of exposure to heat and needs cooling or moisturizing. It contains fermented vitamin extracts and honey extracts to provide a double moisturizing effect by preventing the escape of moisture from the body even during sunny days. Other ingredients that support those results include water, birch sap, glycerin, silica, and other fruit extracts.In retaining moisture in the body irrespective of the weather, your skin has a better chance of looking younger than your age, depending on your frequency of use. This mask pack/moisturizing cream can be put on as base makeup, mixed with your makeup, be used as your foundation or aftershave cream for men. It relaxes even sensitive skin and gives your skin a moisture treatment with an impressive output. Unlike most products, it's not sticky. It only requires that you apply the gel on a cotton piece, place on your eyes and leaves it on for about 15 minutes. It is very good for sunburns, and nails too. As the name implies, eye creams are meant for proper care of the eye. The skin around the eyes is very fragile, these creams are manufactured such that they don't cause any form of damage to the eyes, even when overused. Also, with all the contracting and expanding going on every second, the skin around this area gets dried up easily, and ages quickly. Other effects of this countered by eye creams include dark circles, puffiness, and fluids under the eyes. 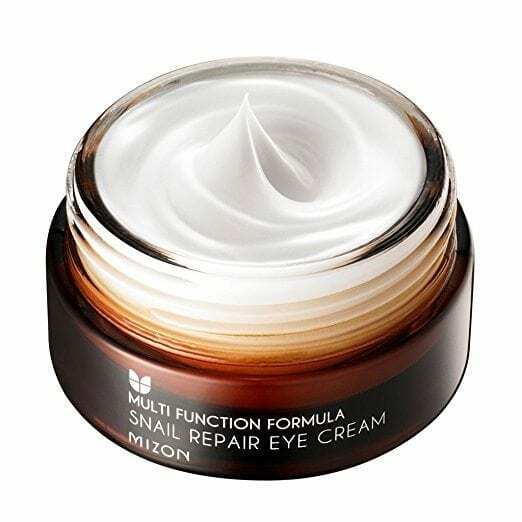 The Mizon eye repair cream has an impressive delivery capacity, including skin regeneration, wrinkle care, and brightening of the skin around the eyes. Like the serum reviewed previously, this eye cream contains snail mucin which helps a great deal with regeneration. One other major advantage is that is it completely natural and free from artificial colour or fragrances, or parabens. It has also been known to mix well with even sensitive skin types. 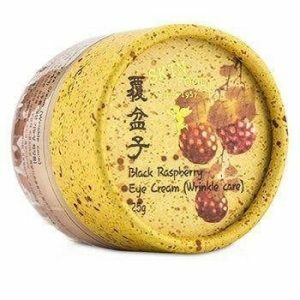 This oriental medicinal anti-aging eye cream helps with the provision of deep hydration of the eye area against wrinkles and darkening. 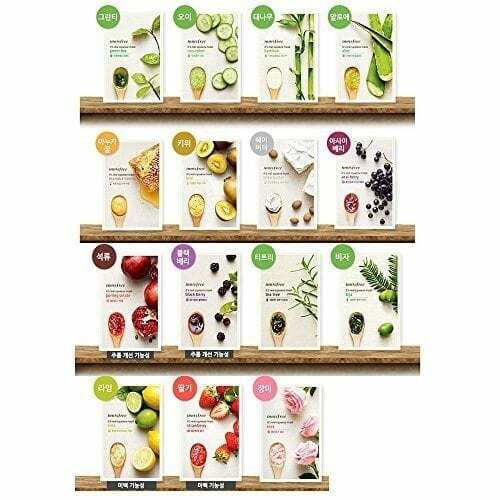 As opposed to other products that have been tasked with fighting of aging effects on the skin, SkinFood feeds the skin with medicinal ingredients that eventually counter aging effects, some of which include extracts from black raspberry, cheongyeondan and jayangbeoumdan extracts from 12 different oriental medicinal herb types, adenosine etc. Depending on your consistency of use, the Skinfood eye cream leaves a permanent effect on the skin around your eyes . Serum﻿s are products with impressive absorption abilities and penetrate even deeper into skin layers to help your skin retain its moisture without giving you a greasy finish. They mostly contain hyaluronic acids and ceramides as well as other concentrated active substances. However, they are not replacements for other skin care products like creams or even moisturizers. Nevertheless, they can be used after using your cleanser and toners, but before your sunscreen or moisturizer. That way, they can help amplify the effects of the moisturizer on your skin and thereby create a more permanent result. 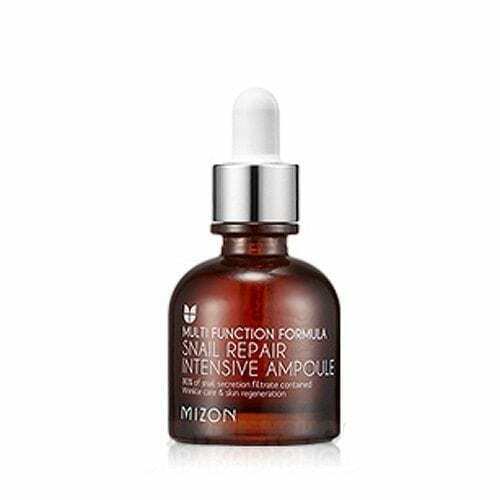 The Mizon formula contains snail mucin, which is best known for its anti-aging properties to stimulate elastin and collagen thereby protecting the skin from scars, dark spots or other free radicals. In high-class spas, professionally treated snails are put on a person's face so that it spreads pure slime and works faster. In this Mizon brand, there is no artificial colouring, paraben or fragrance, so, you can worry less about allergies of irritations. Other active ingredients used in this formula include rich cocoa as well hyaluronic acids. The manufacturer promises a smooth and revived skin after consistent usage. 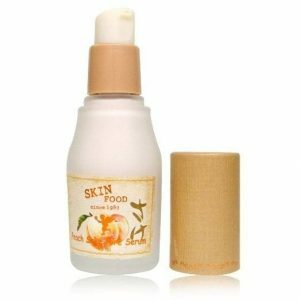 The SkinFood Peach serum contains peach extracts which are rich in lightweight vitamins A and C, silica powder, and rice sake to enrich the serum and help in the reduction of large pores on your skin. This eventually gets you a well-refined skin texture. The ingredients work in tandem to soothe your skin (sensitive or not) even while moderately feeding the sebum to your skin. For deep absorption, you are required to rub gently on your face using your hands after using your lotion cream. The manufacturer also recommends that you use this with other Peach Sake range of products to get optimum results. As similar as the functions of these different products seem, they differ from each other with one or two features. For example, the essence also targets existing wrinkles, as well as spots and scars, but is a lightweight version and less concentrated version of the serum. Essences have a variety of consistency, so depending on the look you're going for, you can use it to add another layer of hydration to your skin just after the toner, and before you use the serum. In this case, the use of cotton pads might not be very efficient. Instead, you could have some in a bottle and spray lightly on your face. 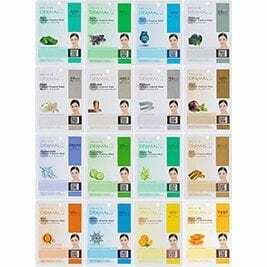 This is a full-face facial mask sheet in a 16-combo pack of different mask types. Each of them contains a requisite amount of collagen and Vitamin E to keep your skin healthy and lively. Basically, the masks are designed to keep air out while they absorb every impurity in your face with the exception of your eyelids. You should feel the effects on your face almost immediately after using it, and you don't necessarily have to wash your face afterwards. 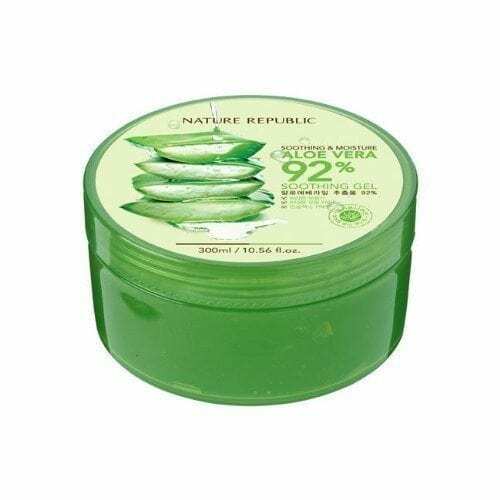 The major ingredients in this products include portulaca oleracea extracts, barbadensis leaf juice, panthenol, pearl powder, glycerin, water, among others. The Skinfood brand is a lightweight product and is more suitable for oily skin as well as those prone to acne. Unlike the Dermal Korea brand reviewed above, this is a watery essence that you could use like the serum and works just as much. It contains a significant amount of premium lettuce and cucumber, and these natural ingredients really have their way with the skin. It makes a very impressive addition to your skin care routine because it also enhances the effects of other skin care you've applied. It leaves you with a nice scent and your skin essentially moisturised. Masks are a very common spa treatment and have been considered to be the perfect skin care treatment. Facemasks help with relaxation, deep cleansing, unclog pores and enhance your overall skin regimen. They also help hydrate skin, improve your pore appearance and remove excess skin oils, thereby reducing the chances of getting wrinkles or scars. This face mask really is real and comes in 15 sheets soaked in skin treatment solutions with natural ingredients including green tea, cucumber, Bamboo, Aloe Vera, Shea butter, mugwort and tea tree. Other ingredients include pomegranate, lime and rose. The Innisfree mask is also translucent and shows your skin through them unlike others, which are mostly white. It also dries on your skin within an hour during which it moisturises your skin. Make sure you stick to the instructions provided e.g an overuse might cause acne on oily skin. 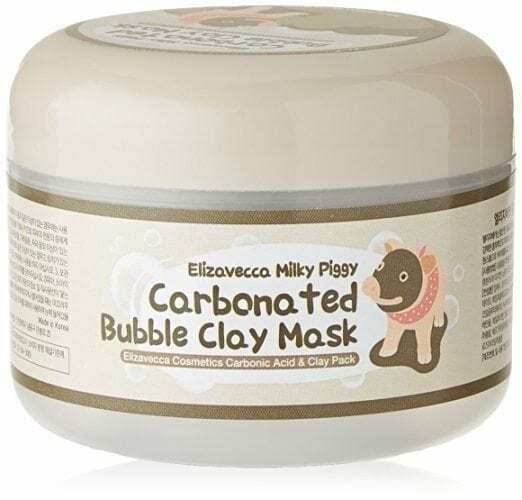 This worldwide bestseller made In South Korea is a bubble mudpack that cleans your pores and removes blackheads from your skin. It contains carbonated water, as well as various vegetables to give your skin a soft massage, while the charcoal content and mud helps with the removal of excessive sebum. 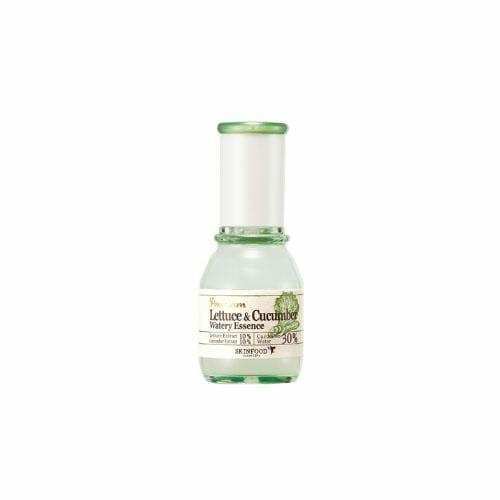 Other ingredients include cinnamon extract, peony root extract, allantoin, charcoal powder, aloe Vera leaf extract and green tea extract among others. To use, just scoop a reasonable amount and evenly spread on your dry and uncleansed face. After 5 minutes when the bubbles start to appear, you can now massage it all over your face so that it melts down. You can rinse this off with warm water afterwards. Like other skin care products, constant usage increases the chances of these changes being permanently effected on your skin. Solar elastosis - whose signs include yellowing of the skin, also caused by insufficient nutrients, keratoses, dyspigmentation or brown colorations, as well as a poor skin texture. With all these symptoms, it's hard to imagine that men would be that much concerned even as most anti-aging creams have been marked towards women more recently. However, with the current fashion trends and significant evolution of men towards fashion, there have been some products with men as their target audience. Sunscreens: These have been known to provide protections against the effects of UVA radiation, sunburns and other weather related dysfunctions. Skin growth factor: Also known as epidermal growth factor helps stimulate the renewal of cells and the production of collagen. These make sure that the skin's structure is not compromised, while its strength and elasticity are reinforced. In simpler terms, the epidermal growth factor has proven to reduce wrinkles as well as sagging of the skin. On fewer occasions, they have been used to catalyse the cure for wounds, burns with its anti-inflammatory properties. Chemical peels: Major examples including Alpha hydroxyl acids and Beta hydroxyl acids have been known to get rid of dead cells by dissolving the intracellular glue that holds them together. With this, the exfoliation of your epidermis will more easily expose newer skin cells which also help improve appearance. As explained above, Alpha hydroxyl acids could cause irritation or redness to some incompatible skin types, so, you should totally get yourself properly checked out before making these decisions. Other ingredients include Vitamin C, anti-oxidants, Retinol, Peptides. Coenzyme Q10, and Argireline among others. Apart from carefully considering your skin type in relation to the effects of the various ingredients explained in the previous section, other major considerations include; the brand's reputation on the market for versatility and authenticity. Of all the market components, cosmetics are one of the best when it comes to brand image and authenticity. Therefore, if a product is getting a significant amount of reviews from different users, then it's probably worth its salt. Also, consider the price in relation to the quantity and quality it promises. With so much competition in this niche, you can always find a replacement for any product at a more reasonable rate. Hence, as long as you know what exactly you need to buy, you'll be fine. Korean skin is really becoming a trend today. Their skin became the ideal skin type. But we really can’t blame the people for making it their ideal skin type because Koreans really do have a white and flawless skin, thanks to Korea’s weather and to their skin care products that are really perfect for their weather. I wish I will get Korean skin after this night. And, this is true that Korean skin care products are awesome to treat. 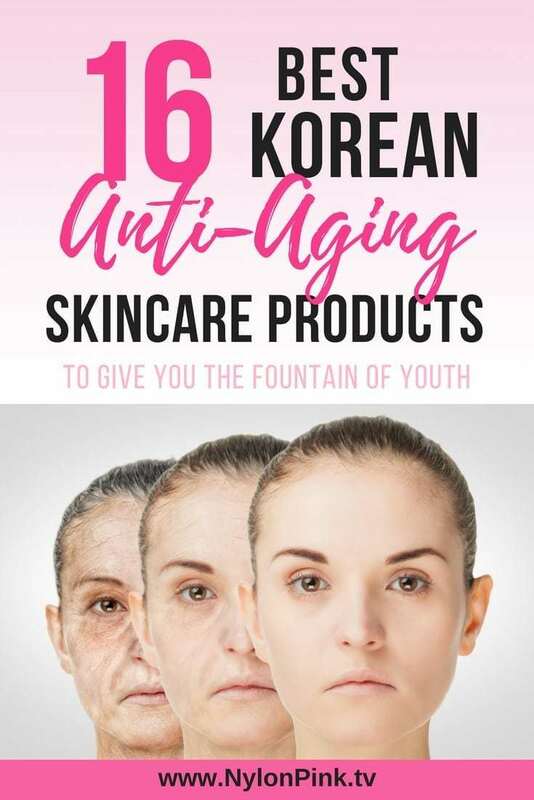 By the way, I am going to buy some Korean anti aging product. Thanks! I believe in the power of Korean beauty products. The evidence shows in the faces of the baby like faces of Korean Women. I’ve also tried it and they really are good products. Skinfood is the best! Yes! I’m so jealous of the youthful beauty of Korean women! I’ve been using different kinds of products locally made and abroad and even tried some home remedy until I’ve stumbled upon this trial offer from Cosmedique. I was fortunate enough to read the terms and condition before paying for the shipping cost. To be honest, after trying it for 15 days I notice a difference in my skin and actually loved the product. I use this product as my all in one product and it removed the bumps in my chin area and the circles under my eyes. However, the cost is way out of my budget. I tried sending an email to their support asking for instructions on how to return the product, even though I love it. They offered me a discount to keep the product and they also gave me a discount if I continue with the subscription. I’m just happy I’m one of the few who read the terms first before buying anything online. I enjoy reading your reviews on Korean skincare and its been helpful. Hope to see more soon! yay I’m so glad that it has been helpful! Where are you based?